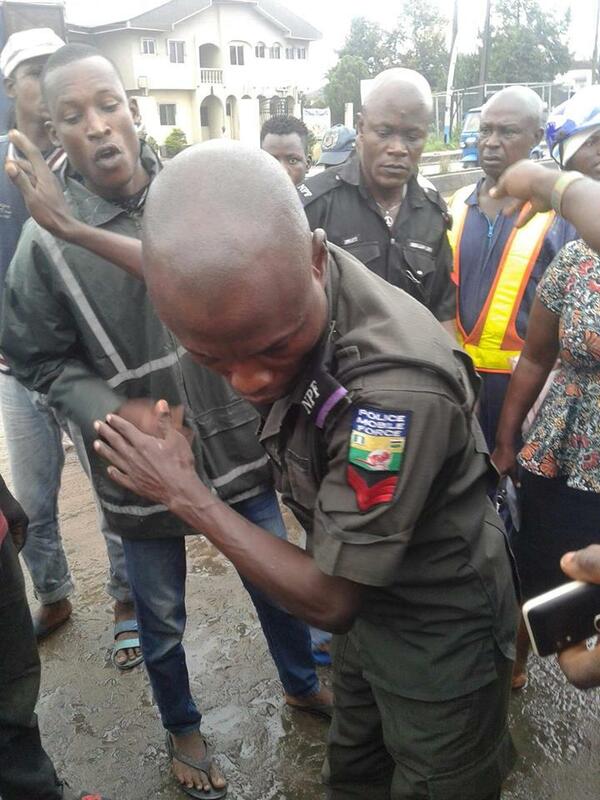 An overzealous policeman was almost beaten by angry residents in Delta state over alleged harassment. 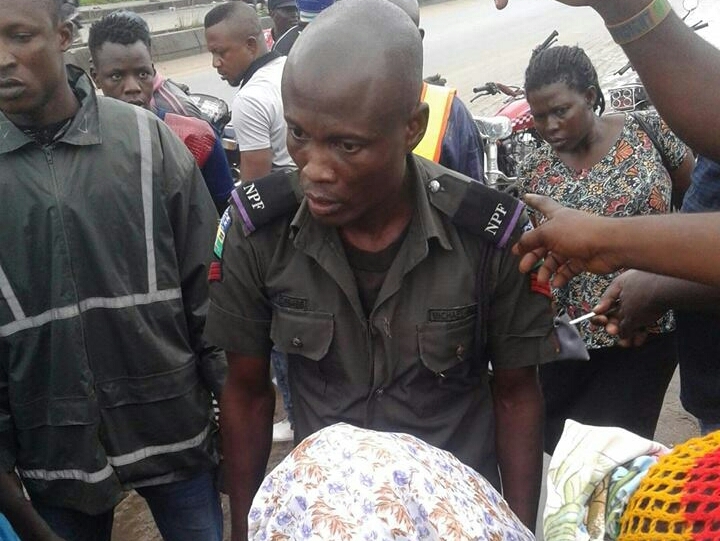 It was gathered that the policeman attached to a bank in Sapele area of the state, harassed motorcyclists who brought their passengers close to the bank premises, some days ago. Even the passengers were not left out as it was alleged that the policeman used a big wood to hit one of the passengers identified as Mr. Jeff after being dropped by a motorcyclist near the bank. 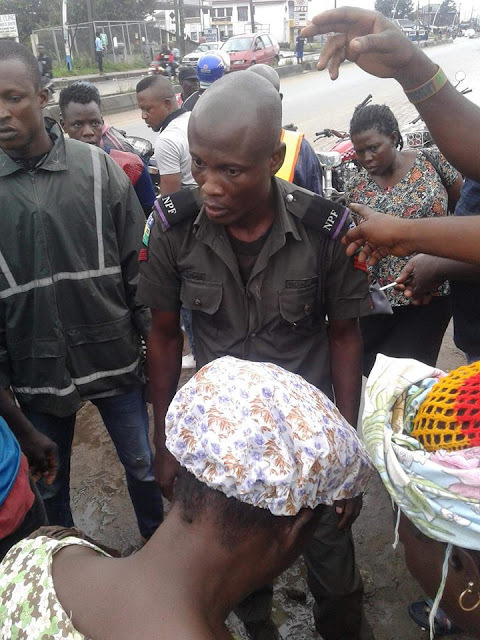 The overzealous officer reportedly continued harassing innocent citizens until he allegedly hit an old woman with the wood which made her fall to the ground and found it difficult in standing up. This angered people around who gathered the police officer and harassed him as he was nearly beaten in the process.